Sure, you’re the ones with the wedding gift registry…but that doesn’t mean the gift-giving spirit should only flow one way. 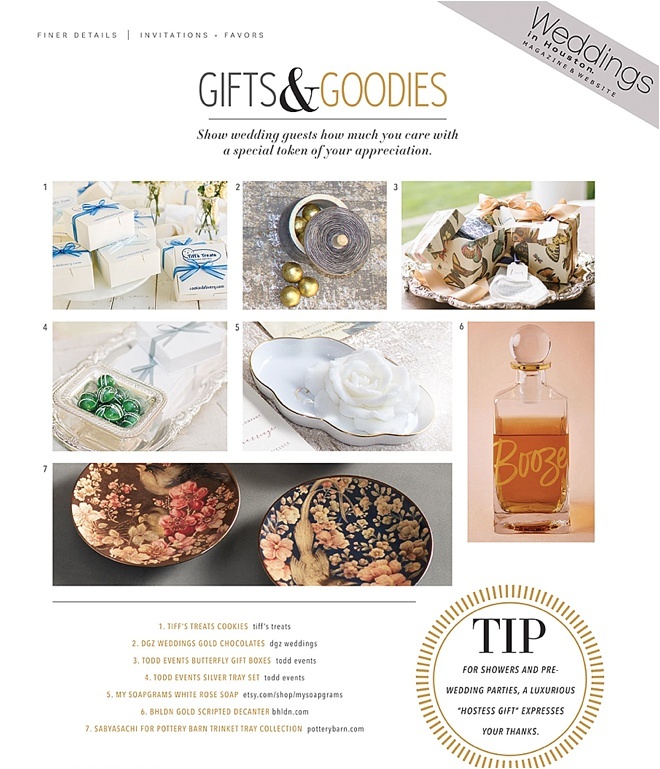 Don’t forget to express appreciation to special friends and family members with thank-you tokens and thoughtful hostess gifts (for all those pre-wedding parties and showers), and spread the love far and wide, with well-chosen wedding favors that are way beyond ordinary. We’re gifting you with some of our favorite gift and favor picks, right here! Scroll down for retailers, and happy gifting, loves. We at Weddings in Houston firmly believe that take-home treats shouldn’t be just for wedding guests. That’s why we put so much love—and LOTS of good stuff—into our exclusive I Do! 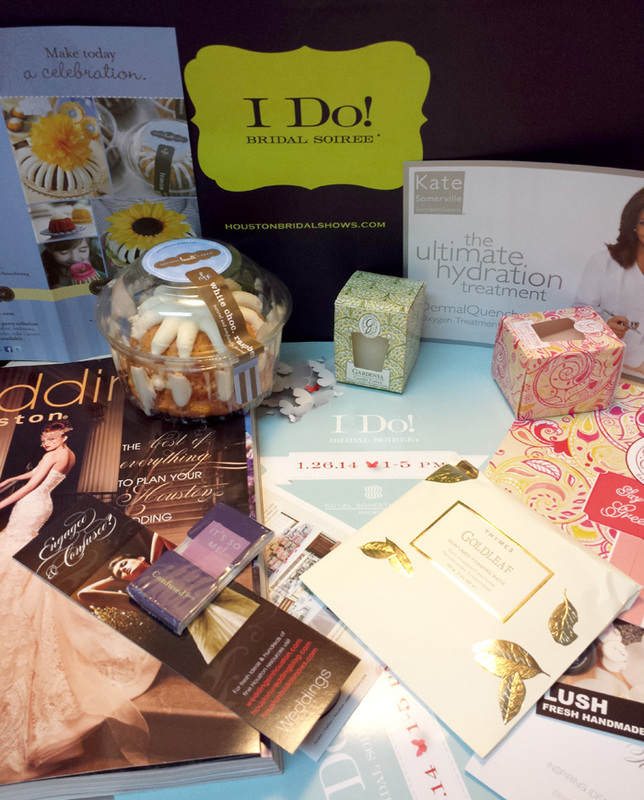 Bridal Soiree swag bags! We want to thank the exceptional brands and vendors who contributed gifts and goodies to the swag bags our brides took home from the fabulous I Do! Bridal Soiree at the Royal Sonesta Hotel Houston on Sunday, Jan. 26. Cookies make us happy. So we kinda figured they’d make y’all happy, too. And Tiff’s Treats knows how to make a cookie that’d make anyone happy. ‘Nuff said. ENJOY! Last but most definitely not least, we’d like to give a big ol’ Weddings in Houston shout out to Save-On Crafts for the gorgeous romance-red Sola Flowers adorning our I Do! Bridal Soiree “Bride” name tags. These natural-tapioca-fiber flowers aren’t just beautiful, they’re versatile, eco-friendly and absolutely awesome for DIY wedding decor, favor packages and other fun stuff. Check ’em out!